Love month is almost coming and it is definitely a busy season for almost everybody especially to those who are in love. In love not only to their husband, wife and partners in life but in love too with friends, parents, mom, and dad and family. There is no exception for the people to celebrate this month full of love, joy and happiness. Branson is known to have the finest romantic places and a lot of people want to spend that special day in this beautiful place. People can choose a lot of perfect and romantic events here in Branson for Valentine’s Day. Many people from different cities all over the world will come and celebrate a day full of love in Branson. Some people choose to get reservations on their favorite restaurants while some choose to spend days on different outdoor places like going to the forest and mountain parts of Branson to have a great hiking adventure. Branson is one of the best cities people can go especially on special events like Valentine’s Day. There are different romantic places in this city that offer good ambiance and food for couples who will be celebrating their special day full of love. People can experience the best and romantic Valentine’s Day in Branson as it gives everything people need on this lovely day. Camping Adventure in Table Rock Lake is definitely a must to visit. A night together with loved ones is perfect here. They should see how beautiful it is to have stargazing while enjoying a romantic dinner for two or with the whole family. There are live bands too that people can dance and sing with to enjoy the night away on this special day. There is this beautiful man-made landscape too in Branson where people can love watching the view of this place. Shepherd of the Hill’s Inspiration Tower has an amazing landscape that can show great sites of Branson. It would be very romantic to watch this amazing view of Branson while taking out dinner. Pythian Castle is known to have the best food and entertainment for the people who visit Branson especially on Valentine’s Day. They will be having special promos for dinner and live shows. These live shows will definitely let all the people dance and groove to the music and performances. Checking out Roark Creek at Stockstill Park is a good place to celebrate Valentine’s Day too because people here can see not just the beautiful and amazing start. They can also see fireworks display here. Parents can also let their kids spend Valentine’s Day here too. The park has fun and safe playground for children. They can also hike around the park and see beautiful lakes here. Parents can enjoy playing good sports here too like tennis. These are just some of the perfect and romantic things to do on Valentine’s Day in Branson. 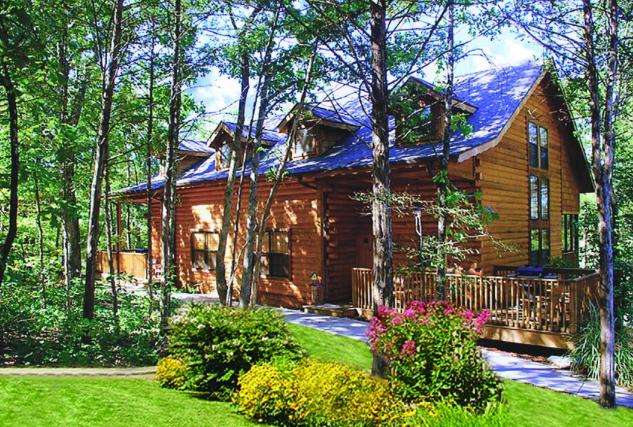 Bio: April is an online publisher for The Cabins at Grand Mountain in Branson, MO. She often writes about camping, Midwest traveling, and log cabin experiences. Corporate Gifting- necessity or luxury?